The means that the archaeological structures from the Antiquity Period located there will be exposed. Respectively, the national and local authorities will need to come up with a way to exhibit them, says Bulgaria’s Deputy Minister of Culture Stoyan Stoyanov, as cited by local news site Plovdiv24. The excavations of the Western Propilaea of the Ancient Forum of Plovdiv, which was known as Philipopolis in the Hellenistic Period (after it was conquered by King Phillip II of Macedon in 342 AD), and as Trimontium in the Ancient Roman period (after all of Ancient Thrace was annexed by the Romans in 46 AD), were resumed in June 2015. The archaeological site is located next to the Central Post Office in the downtown of the city of Plovdiv. In the summer of 2014, the local archaeologists discovered there a male marble statue and a female marble bust on a pedestal dating to the height of the Roman Empire – the 2nd-3rd century AD. In their digs so far, the archaeologists led by Elena Kisyakova have unearthed artifacts dating from the 1st until the 12th century AD because the location of the Ancient Forum harbored a residential quarter in the Middle Ages. The homes there were destroyed in the Late Middle Ages, likely as a result of the Ottoman invasion of the medieval Bulgarian Empire and the entire Balkan Peninsula, and residential life there was resumed in the 17th-18th century AD. 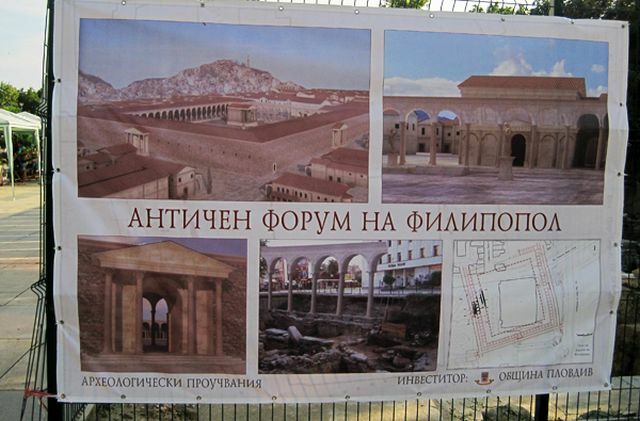 Bulgaria’s Deputy Minister of Culture Stoyan Stoyanov says once the excavations of Plovdiv’s Ancient Forum are completed, a group of experts is likely to draft a project for the archaeological restoration and exhibition in situ of the newly exposed ruins. 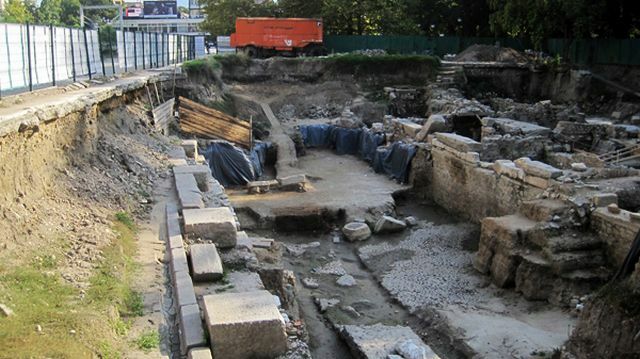 In his words, the next archaeological site for excavations and restoration will probably be the Ancient Roman kilns in a downtown Plovdiv park known as Tsar Simeon’s Garden. The southern Bulgarian city of Plovdiv is also known as Europe’s oldest city.